Lawrence White has been with New York University Leonard N. Stern School of Business for more than 40 years. His primary research areas of interest include financial regulation, antitrust, network industries, international banking and applied microeconomics. 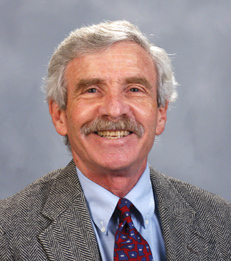 Professor White has published numerous articles in the Journal of Business, Journal of Economic Perspectives, Journal of Economic Literature, Journal of Political Economy, American Economic Review, Review of Economics and Statistics, Quarterly Journal of Economics, and other leading journals in economics, finance, and law. He is the author of The S&L Debacle: Public Policy Lessons for Bank and Thrift Regulation, among other books, and he is the co-editor (with John Kwoka) of the 7th of edition of The Antitrust Revolution. He contributed chapters to the NYU Stern books on the financial crisis - Restoring Financial Stability and Regulating Wall Street. He is the co-author (with Stern's Viral Acharya, Matthew Richardson, and Stijn Van Nieuwerburgh) of Guaranteed to Fail: Fannie Mae, Freddie Mac, and the Debacle of Mortgage Finance. He co-edited and contributed to Stern's recent book Regulating Wall Street: CHOICE Act vs. Dodd-Frank.